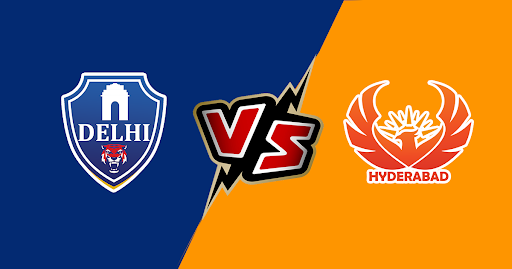 Home » Hyderabad vs Delhi: Match Predictions, Playing XI and Probable Line-ups. Delhi may have had the worst start of the season but they still managed to clinch victories out of four. They would be eager to move on and focus on the upcoming clashes. Although the team’s form has improved but to get back into the game they have to go through Hyderabad. They have to strengthen their spin attacks at Kotla. It is likely that Axar Patel and Amit Mishra will be joining the line-up with Sandeep Lamichhane already in the team. The team will be expecting Chris Morris to flex his muscles on hitting some big sixes in crucial moments. The pitch at Kotla demands good spinners and that’s Delhi can take advantage and take some crucial wickets. Probable Line-ups: Prithvi Shaw, Shikhar Dhawan, Shreyas Iyer (c), Colin Ingram, Rishabh Pant (wk), Chris Morris, Axar Patel, Sandeep Lamichhane, Kagiso Rabada, Amit Mishra, Avesh Khan. Hyderabad has definitely improved in their recent matches. Their top order is on top notch and undoubtedly can make a bulk of scoring for them. David Warner and Jonny Bairstow have registered three hundred-plus opening stands in as many outings. Like Delhi, the middle order of Hyderabad is also unstable as they aren’t fully tested and were dismantled viciously by Rajasthan. This time around a similar situation can arise and they have to be ready to take the heat. Kane Williamson is fit, it’s still dicey whether he will be a part of the Playing XI. Mohammed Nabi will be playing yet again after his four-wicket haul against Bangalore. The likes of Deepak Hooda and Manish Pandey haven’t got an opportunity to make an impact so far. Probable Line-ups: David Warner, Jonny Bairstow (wk), Vijay Shankar, Manish Pandey, Deepak Hooda, Yusuf Pathan, Mohammad Nabi, Rashid Khan, Bhuvneshwar Kumar, Sandeep Sharma, Siddarth Kaul. Hyderabad’s form is completely recovered and we might see a couple of good spinnings from them. While Delhi might fall weak when their middle order is on the field.